Smoothies can make your day. Start your lazy Sunday with a nice fruity shake, and you are set for the rest of the day. As I could use some vitamins, and there was fresh fruit in the house, I started today with a nice smoothie, one that I made up myself. 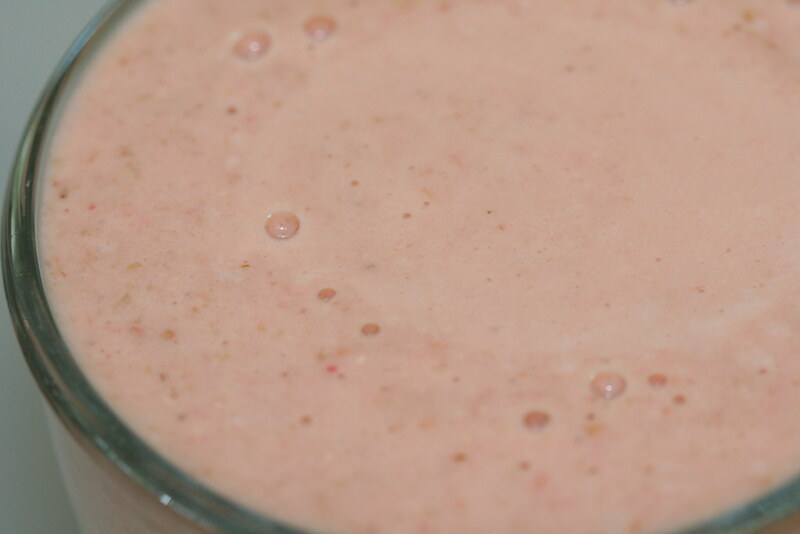 The Strawberry/Pineapple smoothie. 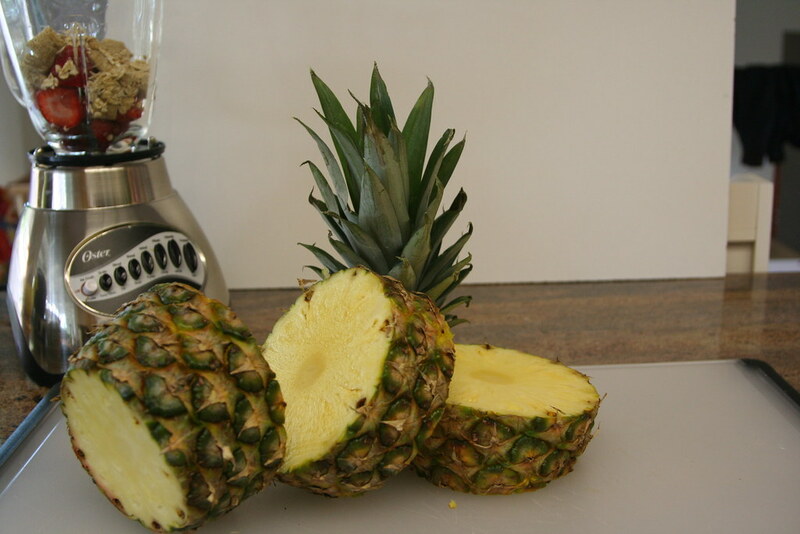 Key for me was to take big chunks out of the pineapple. Usually I use a special device to peel the pineapple, but as we moved a couple of months ago, I couldn’t find my pineapple peeler. After a minute or two in the blender, blending and hacking all the fruit and shredded wheat, I could enjoy my multi vitamin shake on the porch. Hhhmmm Smoothie..! 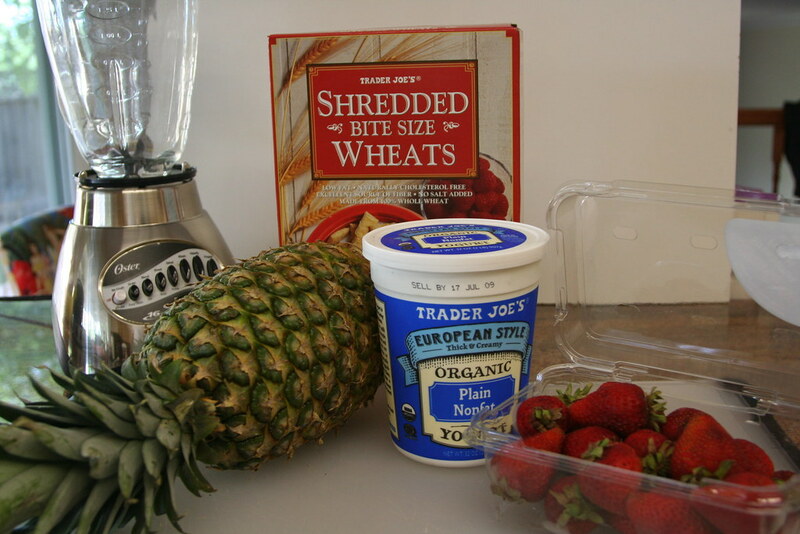 Want to know more about Smoothies? Check out The Smoothies Bible .